So we are a few days into 2014 already I know but, I've been thinking a lot about all the things I'd like to change and things I'd like to achieve this year! Cliche I know and it isn't so much resolutions as such and definitely none of this "new year new me" stuff (we've had enough of people shouting that around) - just 5 things I think will make my 2014 better and make me happier! 3. Manage My Money : I need to learn how to budget and save and not scrape through too every payday down to my last pound! Cutting back on random purchases and things I don't really need is at the top of my list! 4. 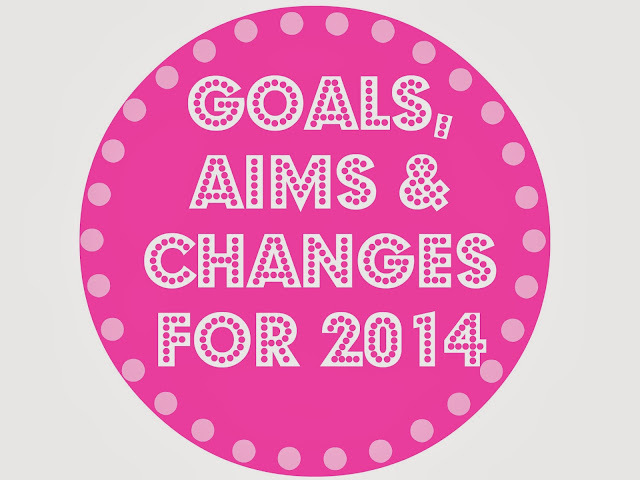 Keep Blogging : I have loved the last 7 months so much and can't wait to keep up with blogging in 2014! I've met some lovely people through starting my blog up again and the comments and response I've had for A Yellow Brick Blog have been overwhelming! I went to try and post at least 3 times a week - although sometimes working full-time comes in the way of this but I am going to try my hardest to keep this blog exciting and updated! I would love to do some more fashion based posts like OOTD's and definitely want to carry on with my Travel Diaries series which has taken a brief hiatus! My next goal is to hit 1000 Bloglovin followers, I cannot believe I'm on my way there already! 5. Get Organised : I'm not the most organised or tidy person - this year I want to change this. I need to be tidier at home (before my boyfriend kills me!) clutter puts me in a bad mood, too de-clutter will be to de-stress! Tidy home - tidy mind, organised life - happy life. So there we have it - 5 things to get me happier and motivated about 2014..... check back in 363 days to see how it went! Definitely with you on cutting back spending! Great resolutions! Mine is to get fitter and eat healthier. I'd definitely recommend reading 'Z' by Theresa Ann Fowler if you liked The Great Gatsby as a book to try this year! These are all great things for the new year! I'm working on so many of them too-- especially reading more & being more organized! I'm so excited for 2014 blogging!! Think it will be such a good year. More people than ever!